A section of the printing history page of the 1955 (Shōwa 30) printing of Takehara's 1941 "A Standard Japanese-English Dictionary (Abridged Edition)." showing 壱 (1), 弐 (2),参, (3) and 拾 (10). 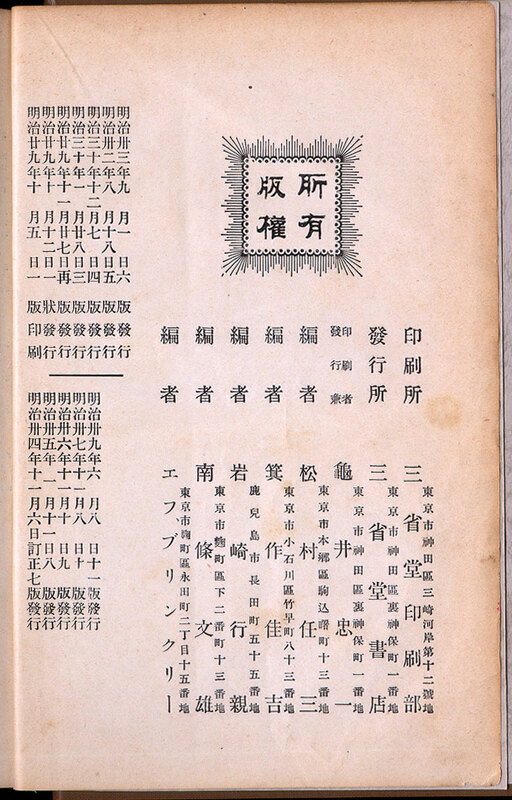 A section of the copyright page of the 1906 printing of Brinkley's 1896 (Meiji 29) "An Unabridged Japanese-English Dictionary" showing 廿 (20) and 卅 (30).